...as voted by my five year old! 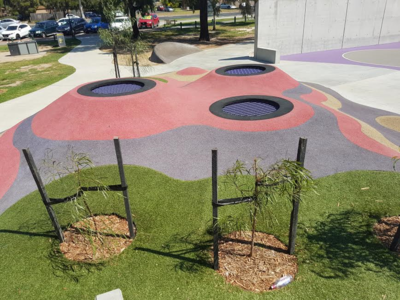 With the increase in families snapping up the affordable properties in sunny Frankston, many of the public spaces have been undergoing upgrades. The most impressive for us as a family with two kids is the wonderful Ballam Park. 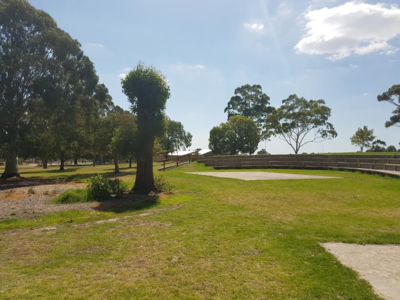 Situated conveniently close to the Karingal shopping hub, Ballam park has something for everyone. The expansive wooden playground offers plenty of opportunities for running and climbing and the swings and slides provide those little leggies with a chance to burn off some energy! Fancy a more relaxed afternoon in the sunshine? Why not hold an impromptu play in the amphitheatre? 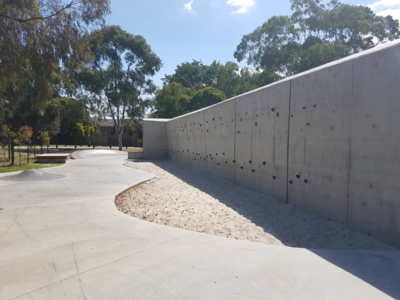 For children who may have outgrown the traditional playground set up, Ballam Park provides a unique experience with their brand new rock climbing wall. The sandy surface at the bottom of the wall gives your ambitious climbers a soft place to land should they fall. Rest assured that the wall is not quite as high as it looks. Our favourite part of this fabulous park though is definitely the trampoline section. We have seen some wild flips and tricks on these cool bounce-mountains! Surrounded by astroturf, the kids can jump until the cows come home while you relax under one of the many shady trees with a picnic. 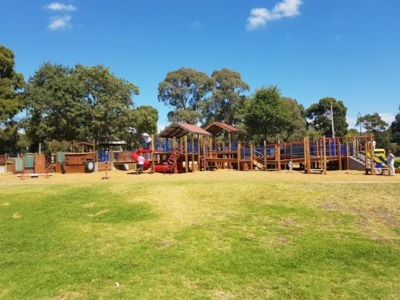 Ballam Park Playground can be found at 260 Cranbourne Road, Frankston and with more upgrades still in the works, it is definitely worth a visit. For more fun and free activities for kids on the Mornington Peninsula, check out the great list right here.